We had a wonderful week in Florida but all good things must come to an end. The weather was perfect, the food delicious and the shopping fabulous. 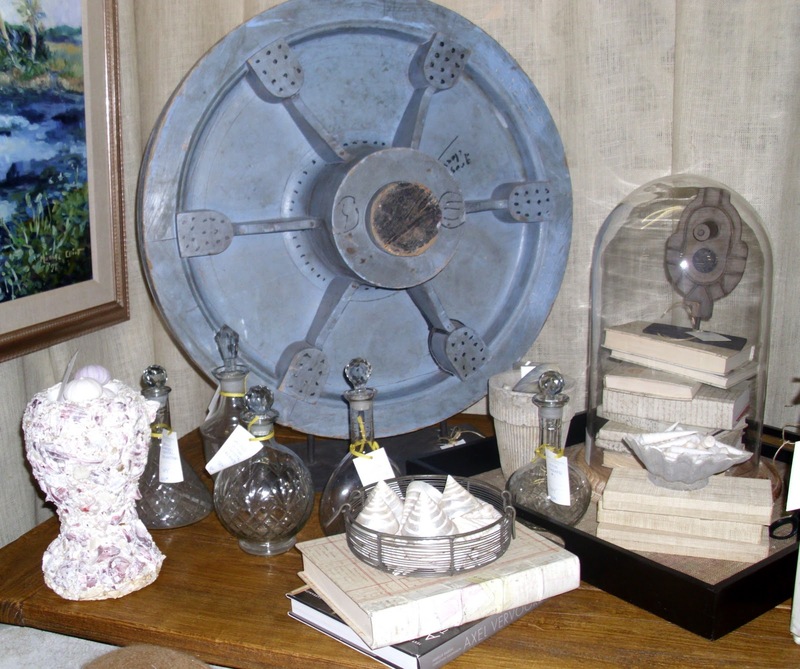 You knew I couldn’t go on vacation without doing some antique shopping! 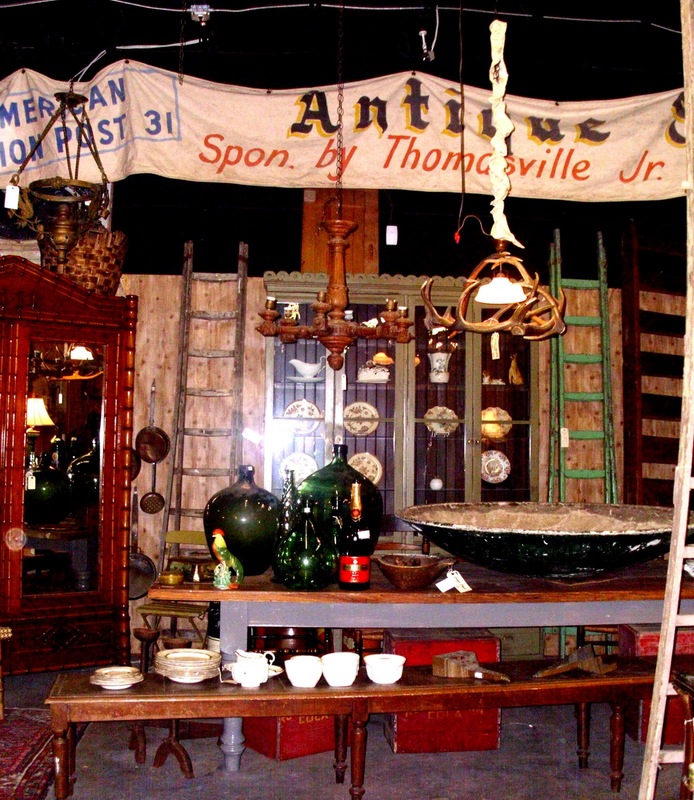 My favorite antique mall in Destin is Smith’s Antiques. Actually the mall carries antiques as well as new home decor. A lot of the booths are leased by interior designers so it is always fun to see how everything is displayed. 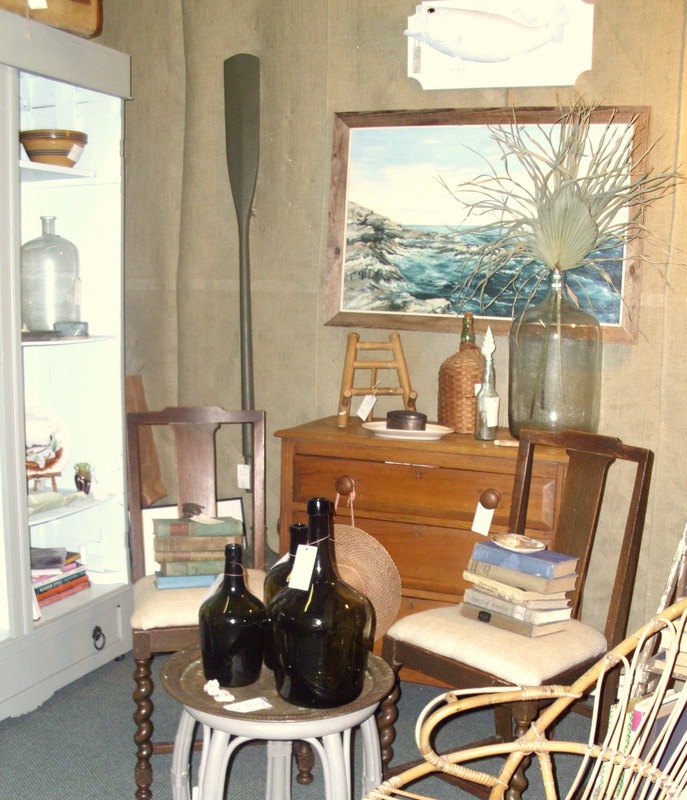 Prior to our move from Destin I leased two spaces in Smiths as well as two other antique malls. 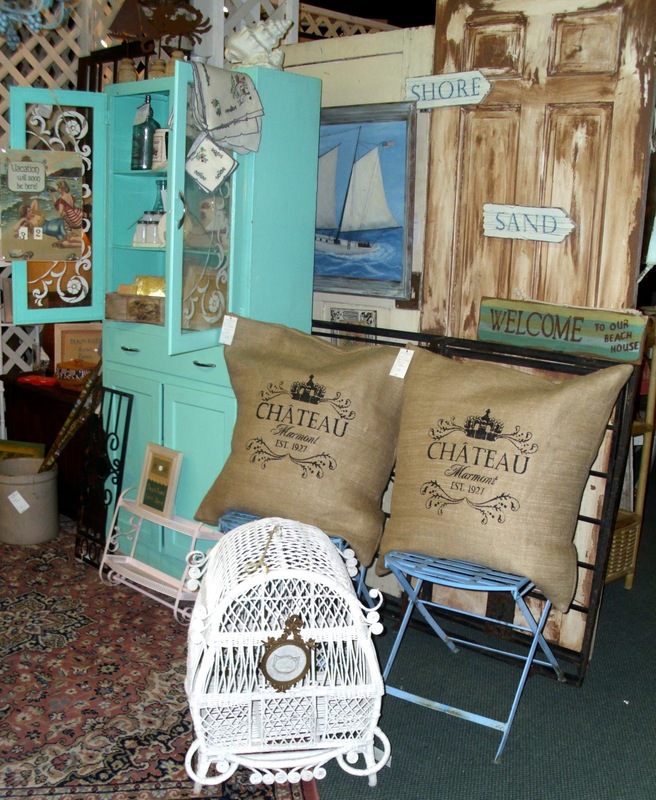 If you love French or beach decor this is the place to shop! I hope you enjoy browsing with me today. I must warn you that this is a very long post!! Next we head over to Antiques On Holiday. The owner of the mall shops all over Europe for the inventory. You will see she also loves demijohns. All this shopping makes me really hungry. Would you like to join us for lunch? Just to clarify…not my beer! This is my delicious shrimp salad though. Could any meal be bad with this view? I almost forgot to show you what I brought home in my carry-on luggage. Why do I always buy things that weigh so much? 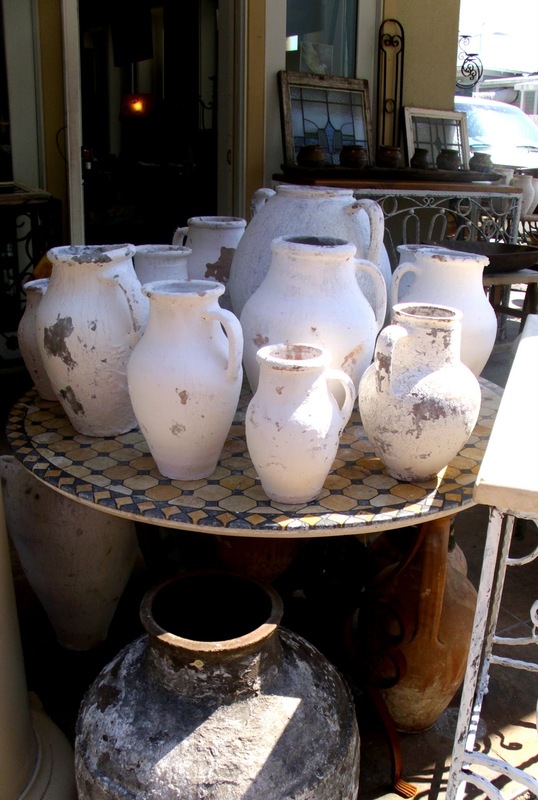 See the tallest olive jar in the back row? That one came home with me for a mere $25.00!! I consider that a huge bargain since most sell for $85.00 and up. that's one mighty strong carry on …. Since I could not be there in person, I certainly enjoyed browsing through this great shop through your lens. Sherry, What a great fieldtrip! I would go crazy in this store!!!!! And you took home an olive jar!!! I just adore them. Sherry, you stole it!! Wow, what a deal. 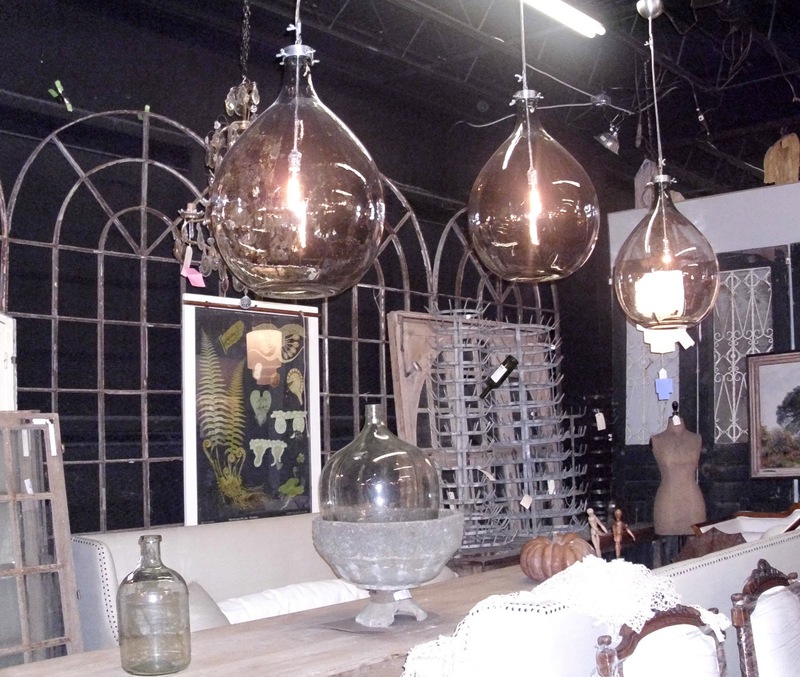 I would be in demijohn heaven in that store. I saw lots of nice things for me to bring home. Next time I go to Destin I have got to go shopping. I love Destin! 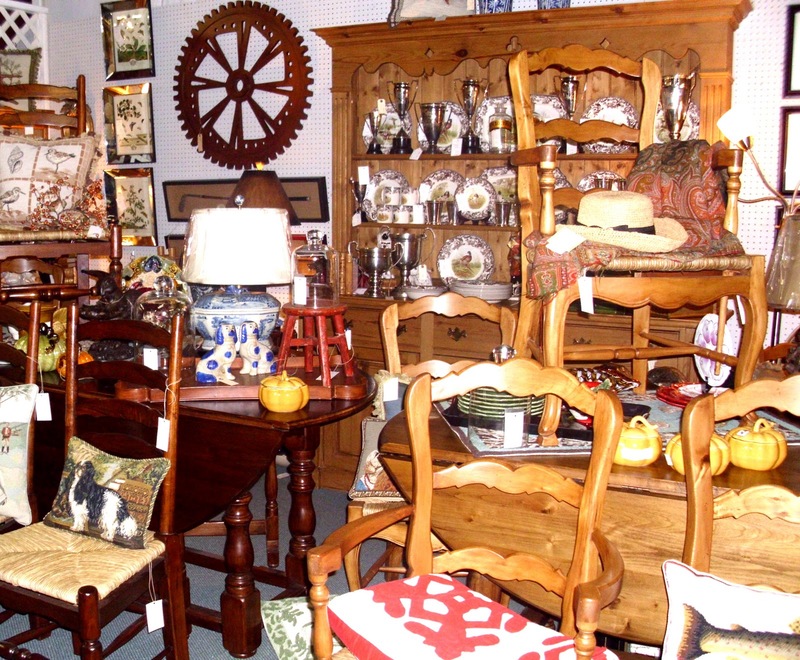 OF course what is a vacation without antiquing! I can't believe you carried that jug back! Thanks for taking me shopping with you…it's been a few years since I've been shopping in Destin. 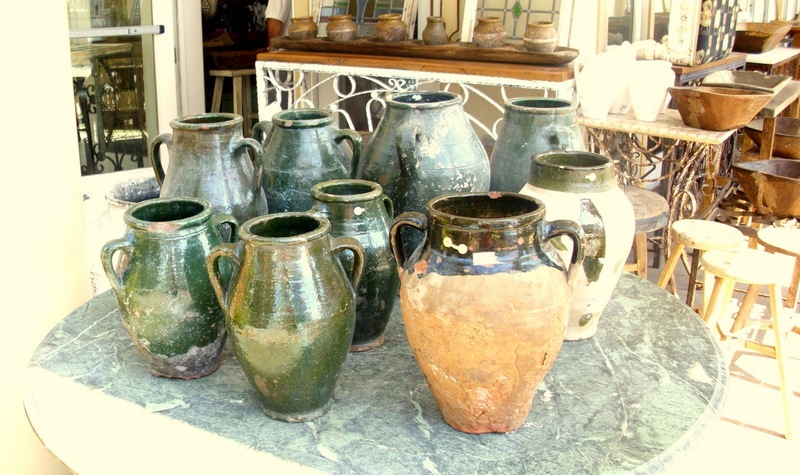 Love that $25 olive jar…GREAT PRICE!!! Smith's was always my first stop…awesome place. Hi Sherry, I have been to Smith. Lots of great stuff. Some a bit high though. Where did you find the jar? That looked like a different place. I'd love to go there. I love those windows in the background. We've had some great weather lately. Glad you had a great time. What a wonderful place to visit and vacation! I want to go there. And, those shops…..WOW! 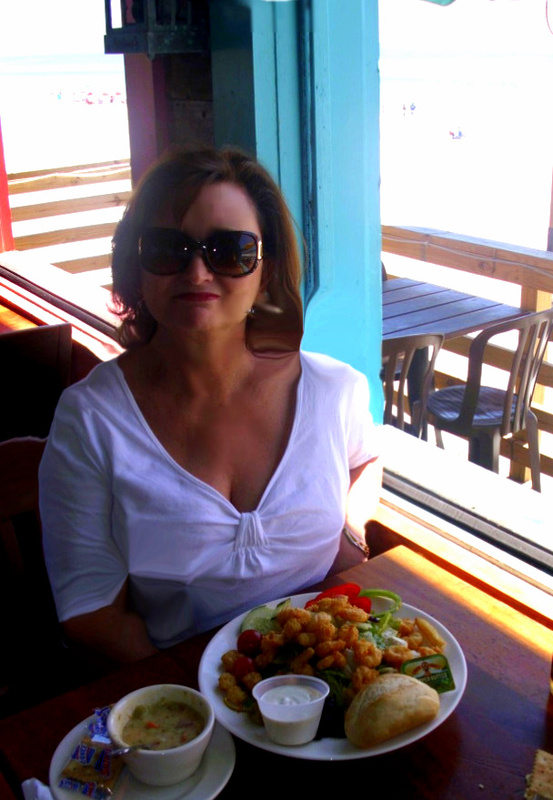 You look so pretty and relaxed sitting there with that yummy shrimp! Boy, those stores would make my heart go pitter patter I can tell you that. Next time I'm coming through the area I will definitely stop and explore, thank you so much for the information. Oh, and I feel your pain about buying something and then having to try and figure out how to get it home. Yup, there have been several flights over the years when I was dragging dishes home from a trip that I thought they weren't going to let me on the plane. You crack me up, carrying home that olive jar. I did the same thing coming back from Houston. Carried a large French confit pot. Weighed about 25 pounds! Loved going antiquing with you. Why is all the good stuff in the south!? P.S. Pop by for a visit and enter in for my SPECIAL giveaway! Fantastic trip, I'm glad you took us along. Smith's looks like a fantastic place, so much fun! i see so many things in your photos that i would love to have…and your lunch makes me hungry. Fastastic shopping area indeed. I could spend hours in shops like these and do quite frenquently. The first image of the blue disk (?) is wonderful. You DID have some fun!! And isn't Florida beatiful this ime of year? 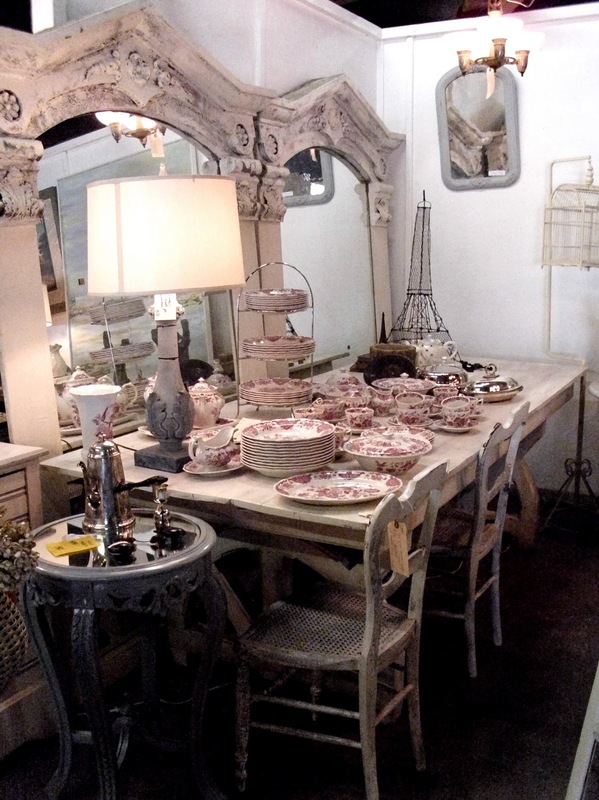 Those floor to ceiling mirrors, in the picture with the Eiffel Tower on the table, are pure heaven! 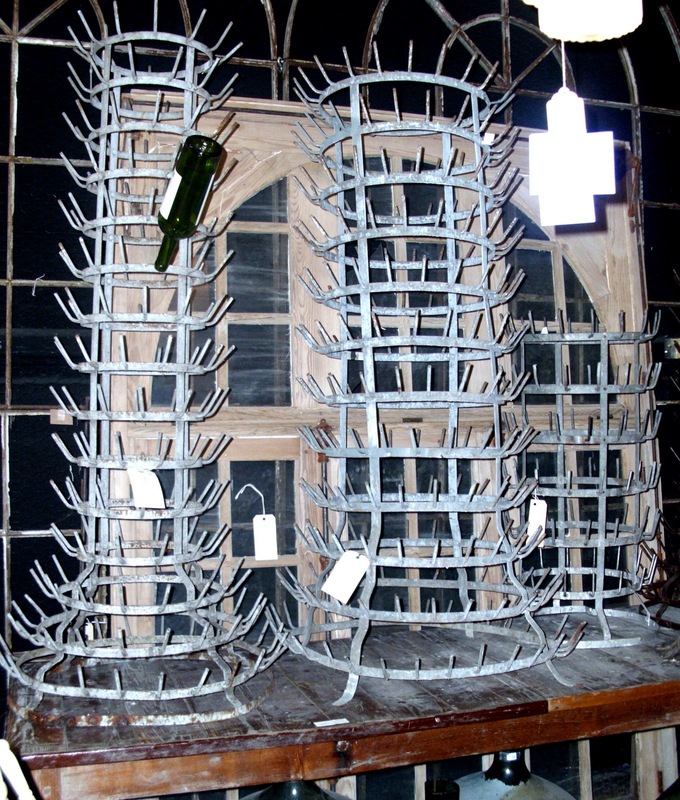 I also loved seeing all the pigeon and bird cages! How much were those bottle drying racks? About? I have wanted one of those forever! I am so happy you had a fun, relaxing trip! Sherry, this looks like a great place to shop, and jut look! I want one of those bottle drying racks! So cool! a ball : ) ! thank you for the tour, it was amazing. Love the pottery!!! You made a good choice! All that fabulousness would work up an appetite for anyone. Wish it wasn't lunch time, that salad has me faint! Thanks so much for sharing your goodies. Oh my…. I need to shop there too! What a bonanza of great stuff. Perfect for a Non-Minimalist… 🙂 Why have an empty space when you can fill it right up??? That's my motto. Hey Sherry, I agree, no vacation can be one unless you visit some antique spots. 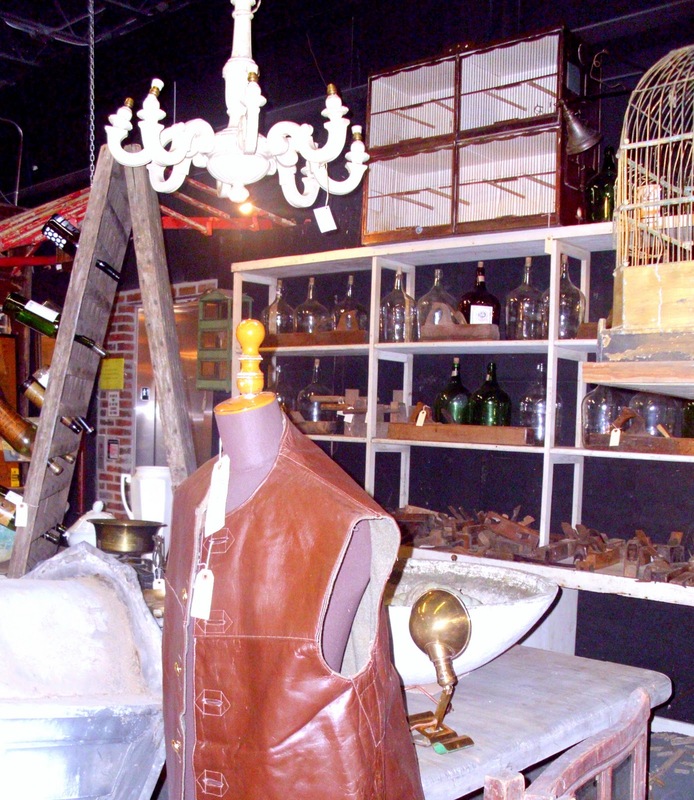 What a great mix of booths and goods, love seeing it all. and the lunch looks so delish, I know you must have had a wonderful time. Thanks so much for linking up with VIF!! 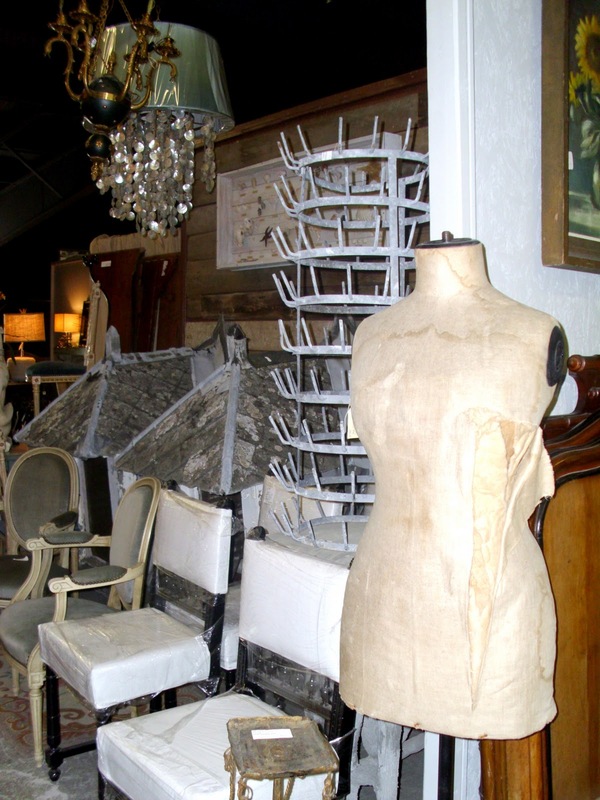 Hi SHerry….that is my kind of trip too…love antique malls. We have never been to Destin, and lived in Florida for nine years. That is so ironic you where in Roanoke and did the bridge…it was beautiful…what a site to see. Wonderful photographs – beautiful merchandise. I can't believe you carried that olive jar in your suitcase!!! It's amazing what we can pull off when it comes to making it home with a treasure! 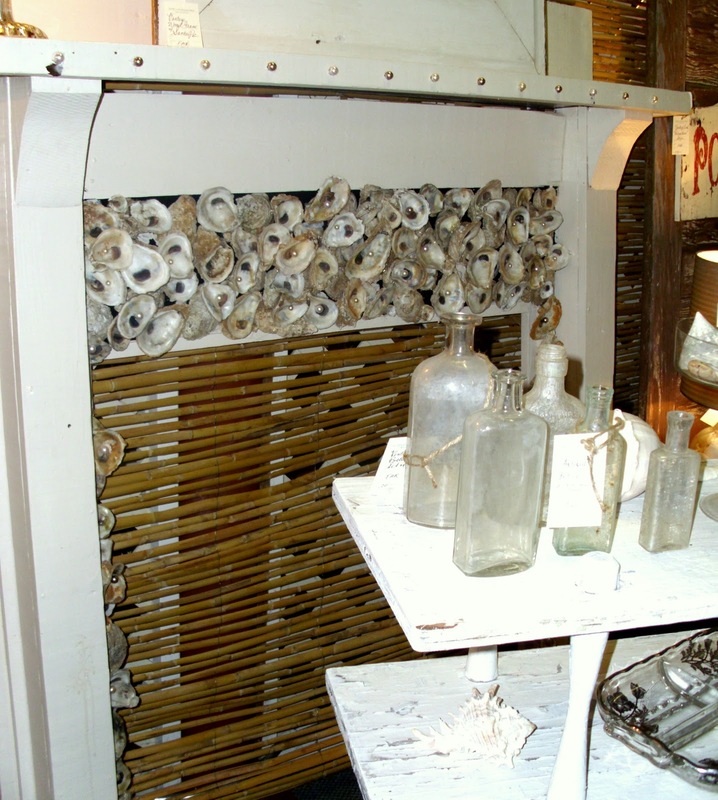 Oh I have been looking for an antique bottle drying rack for ages and there are three! 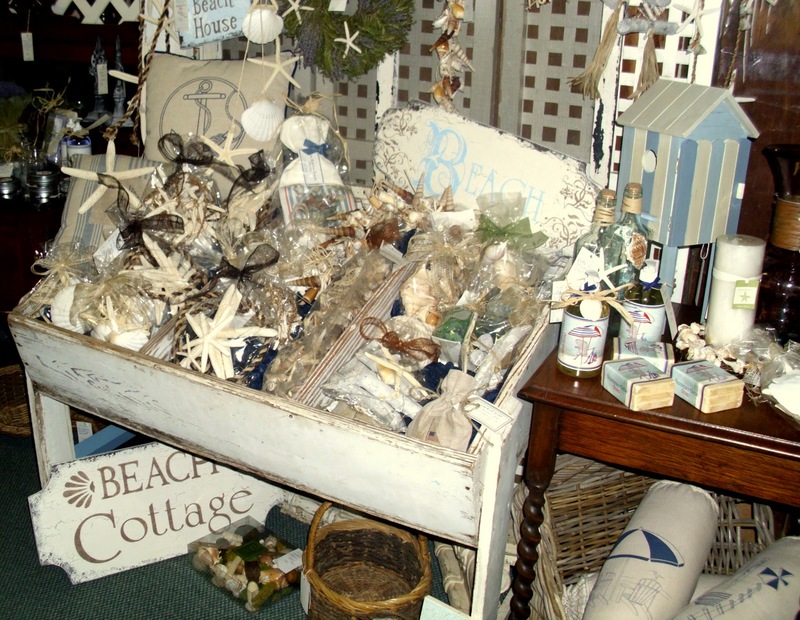 So many beachy things that would have tempted me!!!! 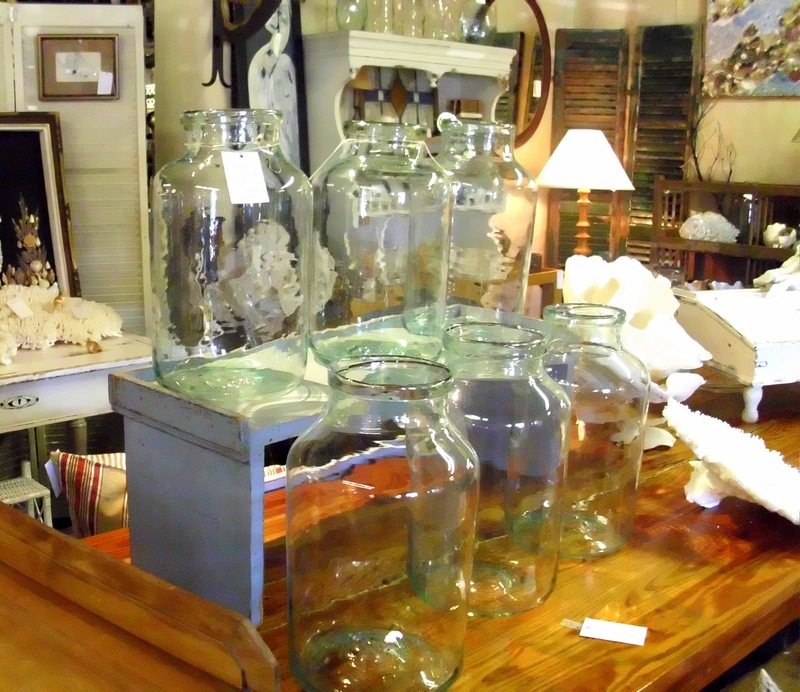 Including antique glass bottles! The olive jars are really neat! And you were up for the haul!!!! OMGosh…what awesome shops. And, I have been wanting one of those vases..just love 'em. Thanks for this wonderful post.. Thanks Sherry, for the great shopping trip. Love the olive jar you got! What a bargain. 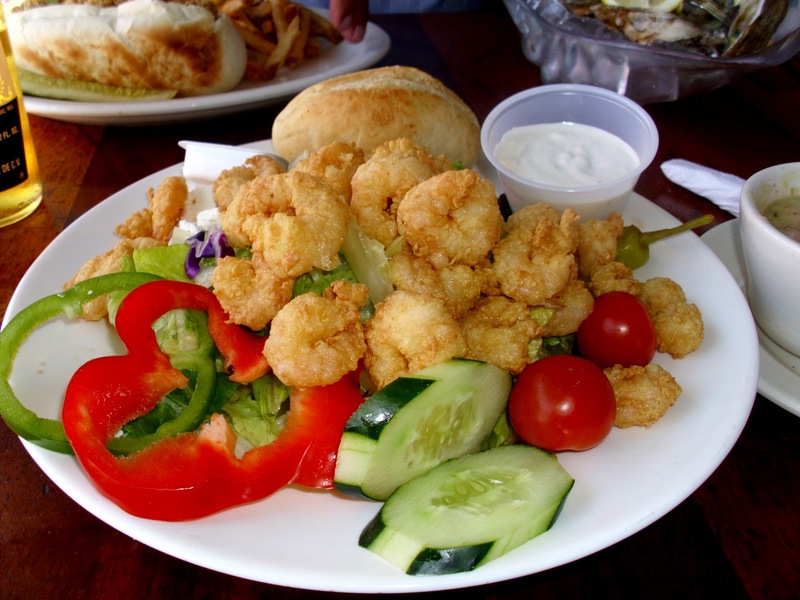 And, that shrimp salad looks good, too! 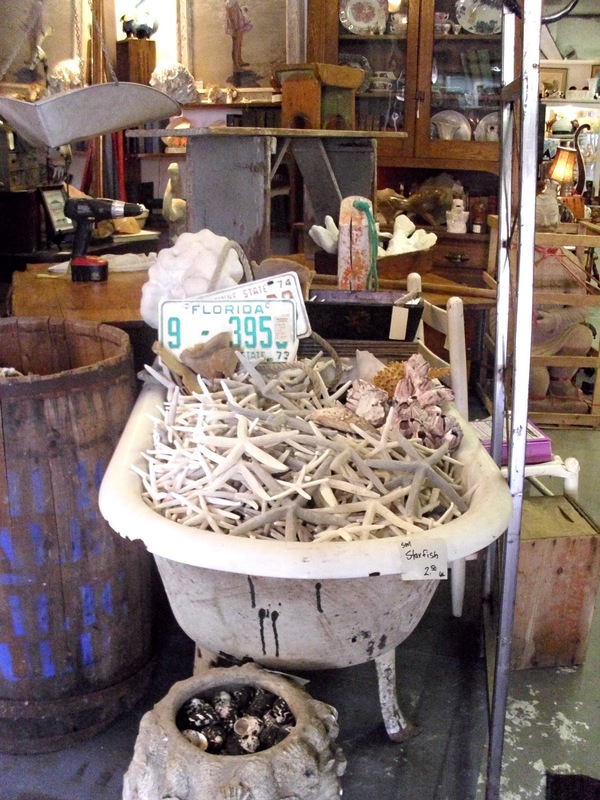 hi, Sherry, Those are my fave antique stops in Destin too! I've blogged about Smith's before, so fun to browse in there. Loved seeing it all again & that olive jar is gorgeous! Thanks for always stopping by with such great comments. 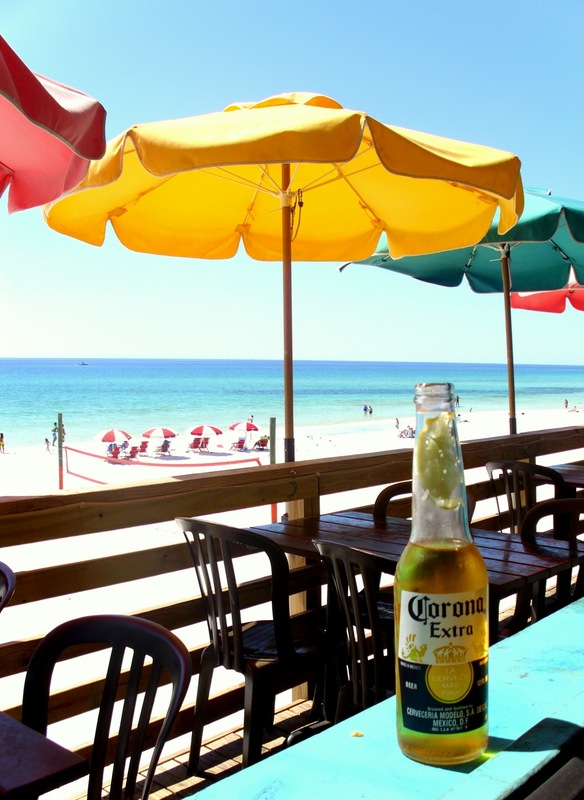 I would absolutely love to visit Destin. Looks like a fabulous place to browse and shop. Hi Sherry, Looks like you had a fabulous vacation! 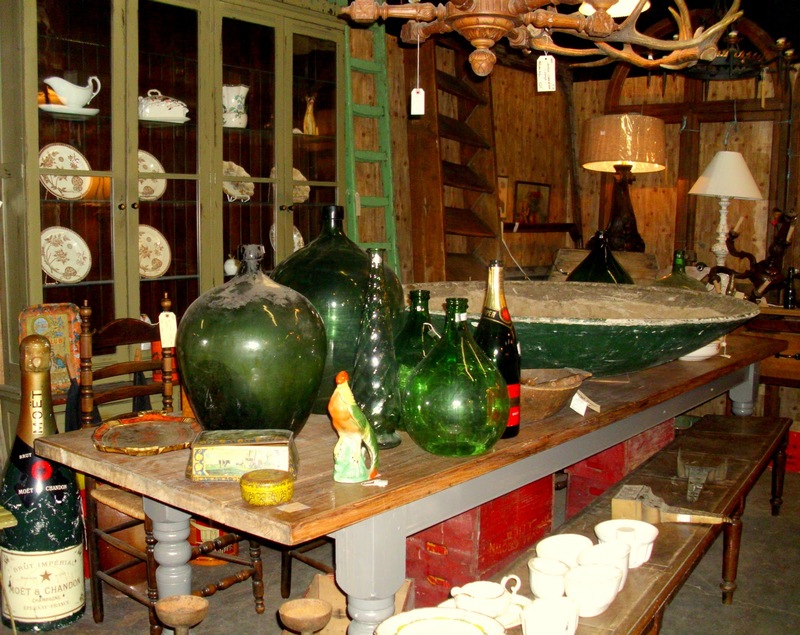 Love that antiques shop… what great stuff. Those vintage bottle racks are amazing. Hope the rest of your week is wonderful!